The Turbo Original Fort Combo 4 adds the most popular options onto the Turbo Original Fort. This playset comes with a 5′ 6″ high, 20 sqft large deck area, 11 ft super slide, rock wall, entry ladder, an 8.5 ft high swing beam, featuring two regular swings, a trapeze bar, Monkey Bars and the higher Sky Loft. 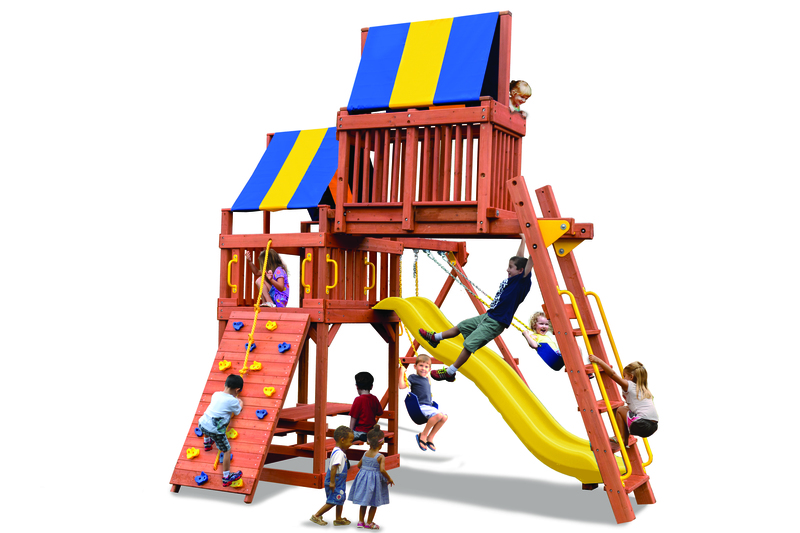 Our Turbo Original Fort is the definition of true quality with unlimited options! !